Forty years after The Damned released New Rose they're currently touring the UK. The genial Captain Sensible got in touch to tell us about his favourite LPs, from Stereolab to the Bee Gees, Soft Machine to Felt and Jimi Hendrix. Damned live photo by Dod Morrison. Nobody likes visiting the dentist, but I got around my own personal aversion courtesy of a glorious bit of improv by minimalist pioneer Terry Riley. 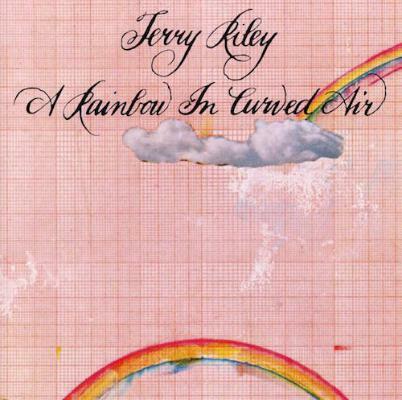 His Rainbow In Curved Air is a long meandering piece with a distinctly hypnotic tendency - and when delivered to the ears via a decent pair of headphones, it turns a trip to the dentist into a psychedelic dream. Of the two long meandering tracks the albums “other side”, 'Poppy Nogood And The Phantom Factory' is the aural equivalent of the floatation tank experience. Save yourself the expense of a rebirthing session, just grab a copy of this epic slice of minimalism by founder of the movement Terry Riley. Hugely influential to artists like Soft Machine and Philip Glass, there's also a distinct Terry Riley-vibe on The Damned's 17-minute epic – 'Curtain Call'.